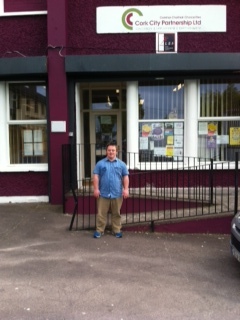 Student on Placement in Gurranabraher/Churchfield Outreach Office » Comhar Chathair Chorcai Teo, Cork City Partnership Ltd.
John Kennelly who was on his 10 week placement with us in our Outreach Office just finished last week. John helped with Easter Camps for the children which we ran for 6 days in the Sam Allen Outdoor Pitches. He was a great help and he brought great fun to the group. We wish John all the best for the future, thanks for coming up to do your placement with us. The staff and volunteers send their best wishes to him.